Hello everyone, I hope you’re having a good week! I inherited this Flower Fairies book when I was a little girl. I’m ashamed to say that I really didn’t take as much care of it as I should have done, as it is rather dog-eared now. But I treasure it, and it sits in in my mini library in the old range in my dining room (see it here in this post) with all the other beautiful worn and battered books I have collected over the years. 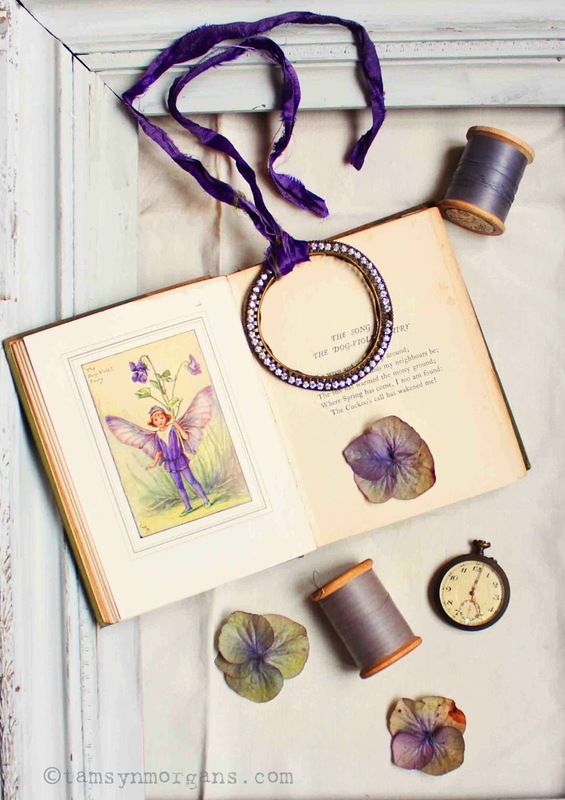 It made a lovely backdrop for this little still of hydrangea petals and cotton reels in shades of lilac, one of my favourite colours. Which reminds me, it won’t be long until the buds will start to appear again on the hydrangeas in my garden – I’m starting to plan my planting design for my front garden, which will include lots of box hedging and hydrangeas. Very exciting! 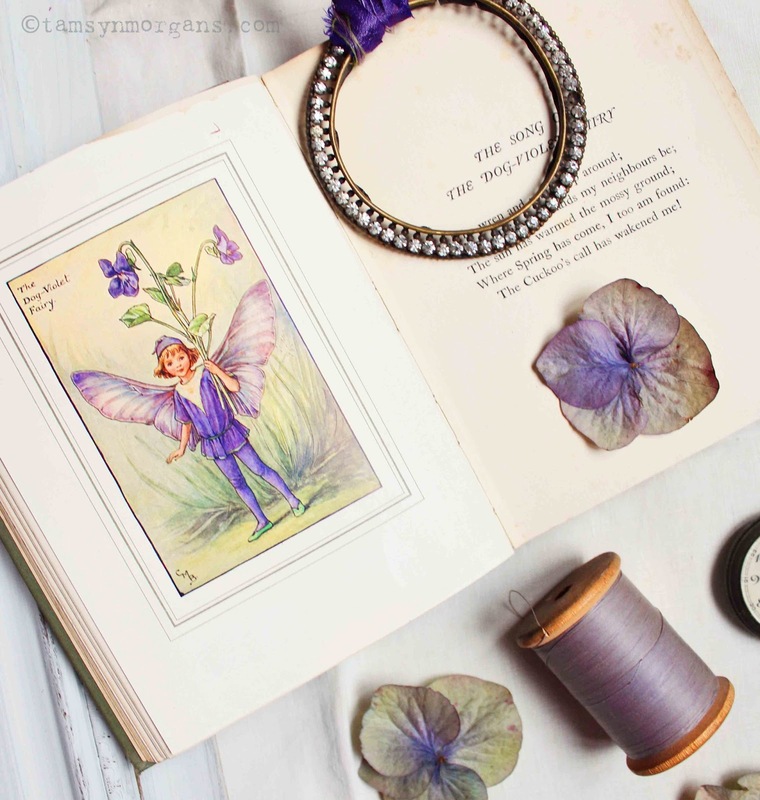 The flower fairies are one of my favourite childhood books series too.